Nancy is a faithful friend, mother, grandmother, resident and volunteer at one of Interfaith Housing Assistance Corporation’s (IHAC) 55+ Senior Communities. Before Nancy found out about Renaissance, a 95 unit affordable housing property for Seniors in North Park, she lived in an elderly community that was way beyond her budget. After two traumatic health scares, Nancy was left with no other choice but to quit her job, move to San Diego and stay with family until she was able to find an affordable place to live. 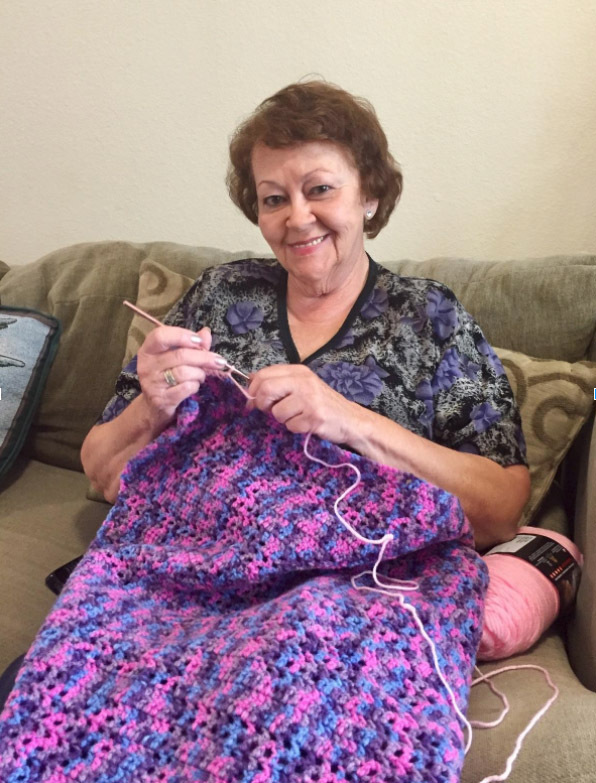 With her family living in the North Park area, she decided that when the time came, she wanted to live somewhere that was close to family so they would be able to check up on her. Finding Renaissance was a total miracle for Nancy, especially after finding out that it was an affordable housing property! As quickly as she could, she submitted an application and waited. After some time had passed, Nancy had an appointment with the on-site manager at the time. After meeting the property manager for the necessary paperwork, Nancy was able to move into her new home right in time for the New Year. Nancy says she will never forget how welcoming the onsite staff was. Everyone was “VERY sweet and helpful. Very nice and caring”. Another reason Nancy was sold on the community was after attending a going away event for one of the managers on site. She said that watching the residents gather around and show their appreciation for the manager was the moment she realized that this place was more than just an apartment complex; it was a family. “One major way I stay active in my community is the resident service programs,” She said she loves the community engagement that comes from the services as well as the educational classes. Nancy actively volunteers with the services that take place on site by passing out newsletters, organizing outings with resident services staff, and setting up for events. “Overall, everything that I have been a part of here has been great. I love all of our community gatherings and the prizes we are able to win! It’s just great to have the community get together because as we spend more time together we get to know each other better. I would like to congratulate IHAC for what they offer their residents and what their efforts give to the community. After watching IHAC for the past year, I can see the ethics of the organization come to life along with all it stands for. They help many”.